When your budget is super tight, like mine has been often over the last few years, getting supper on the table is a challenge in itself. It's tempting to overlook the extras like dessert. During times of financial strain, the special things like a little something sweet at the end of the day are all the more inviting. Sometimes a little dessert just makes everything seem a little less bleak and a little more doable. Shallow? Maybe. Effective? I think so. With a little searching and baking, you can keep your family happy. ... you can do this! Great week of posts, Laura! Thanks for sharing your recipe ideas! Lately I've noticed that I've needed to refocus my frugal eating efforts, so this gives me a good start :) Thanks for linking up at Thrifty Thursday too. 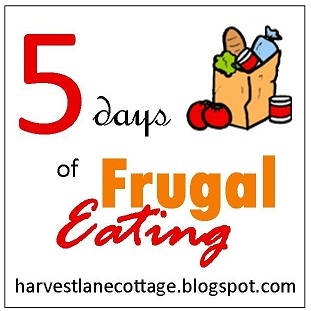 I love those ideas, I'm always on the lookout for frugal dessert ideas! Good thrifty dessert tips! thanks for sharing at TTF! I can't wait to try some of these recipes! Thank you so much. I hope you find something you like!